For companies looking to grow their digital footprint, an increased investment in new tools and technology is a no-brainer. This may also mean expanding technical teams in order to support the needs of an organization. That said, finding and retaining top tech talent can be a major concern for businesses. Despite thousands of new jobs opening up in software development, engineering and architecture, companies are hitting a hiring wall, unable to fill the roles they need to take their digital game to the next level. Failure to meet hiring needs has managers and CTOs alike nervous about meeting business goals. 83% of hiring managers cite the inability to fill roles as having a negative effect on revenue, market expansion, product development and employee turnover. Likewise, job seekers are struggling to meet the criteria set by hiring companies. With a laundry list of requirements, many applicants simply don’t check off all the technical boxes in a job description. What’s standing between companies and job seekers? 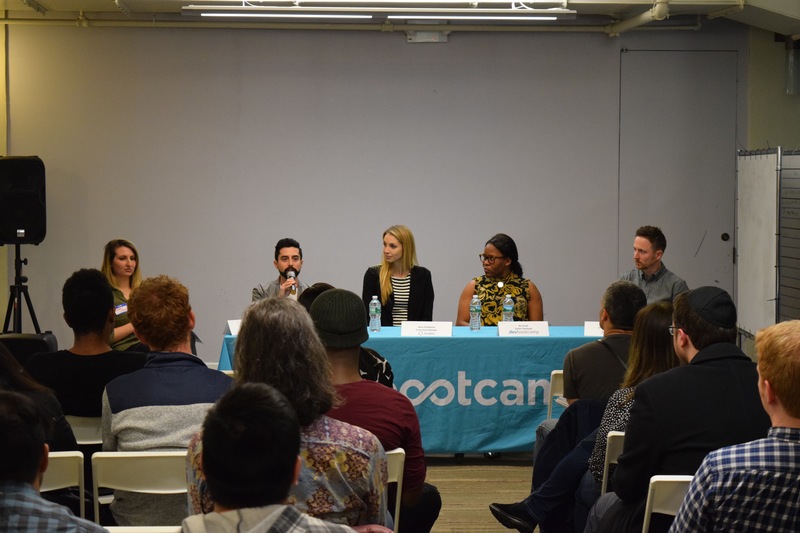 On February 23, Kenzan and Dev Bootcamp hosted an event, “Rethinking Tech Talent” to address that question. We brought together speakers from our own organizations, as well as from Uncubed and Andela, to discuss the current tech recruiting climate and actionable solutions to close the skills gap. We wanted to share some key takeaways that came out of that conversation. One reason for the skills gap: Education just can’t keep up with technology. The tools and skills needed to develop software are evolving quicker than most colleges and universities can teach them. By the time a course is complete in one technology, another has emerged. Instead of turning to higher education, job seekers are now starting to approach learning differently. Alternative training, like the immersive coding courses that Dev Bootcamp offers, are becoming an increasingly popular choice among those wishing to get into technology. In 2016, there were almost 18,000 graduates from coding bootcamps across the US and Canada, with that number to likely increase in 2017. It’s not just jobseekers that are seeking more education. According to Stack Overflow, 70% of working developers say that learning new technology is a priority. Companies looking to retain top tech talent would do well to look at continued learning opportunities for their current workforce and to invest in programs that help employees skill up. By introducing more employer-sponsored education, companies will not only be able to keep workers happy, but will also be able to provide less-experienced developers with on-the-job training. Our panel was lucky to be joined by Andela, an organization that is helping companies look beyond the usual recruiting sources in order to tap into a market with plenty of tech talent: the African continent. Rather than focusing on education, the organization vets developers based on skills, putting applicants through a rigorous assessment before presenting them to hiring companies. While organizations like Andela are getting more attention, many companies are still hindered by their limited definition of what it means to be highly-qualified, looking solely at candidates from specific colleges or with experience at a well-known brand. Even as the number of people gaining skills from coding bootcamps and similar technical schools increases, more than half of employers still say that a computer science degree is the most important qualification. Instead of focusing on an applicant’s education, companies could benefit more by shaking off that narrow criteria in favor of a more holistic, inclusive hiring policy. Gone is the image of the hoodie-wearing developer, secluded behind his computer, headphones blaring, locked into a coding marathon. In 2017, developers work on cross-functional teams, connect with clients, and give demos and presentations in public venues. Collaboration and communication are among crucial soft skills developers need to possess. Despite the growing popularity of alternative education and a change in recruiting policies, the biggest change can come from companies and educational sources working together. Uncubed is an organization helping to facilitate that kind of dialogue and also, as it turns out, was a panelist at our event. As a video-first jobs platform, they know all too well the challenges both companies and job seekers face. Beyond their recruiting tools, Uncubed addresses the tech skills gap by bringing together educators and companies to develop more effective education that meets the needs of hiring companies and better prepares students for a career in the digital economy. As huge advances in technology continue to push the boundaries of our digital experiences, companies across industries are looking for highly skilled employees to help them build the tools, products and services that power our lives. As a result, the demand for top talent is quickly outpacing the supply. The consensus in the technology sector is that we are in a talent drought. By 2020, the U.S. Department of Labor expects that there will be more than 1 million unfilled IT jobs as the demand for highly-skilled employees will far exceed the supply of computer science graduates. At Kenzan, where we’ve hired 40 people over the last year, we believe that there is a vast pool of untapped talent that is ready to work, but often overlooked. These candidates have the skills and motivation to perform these jobs, but lack the one thing that will get them an interview: a four year computer science (or similar) degree from a college or university. Instead, these potential employees have acquired their skills through non-traditional means like industry-certified training programs, independent projects, coding boot camps, apprenticeships and high-quality online courses. 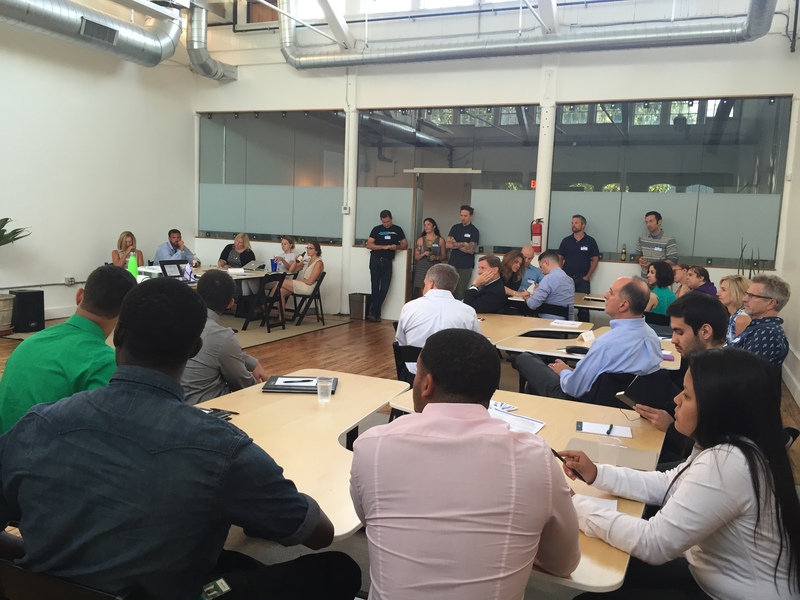 Last week in our Rhode Island office, we hosted High Tech Recruiting: Cultivating the Unconventional, an event aimed at exploring and expanding the tech hiring landscape in lil’ Rhody. 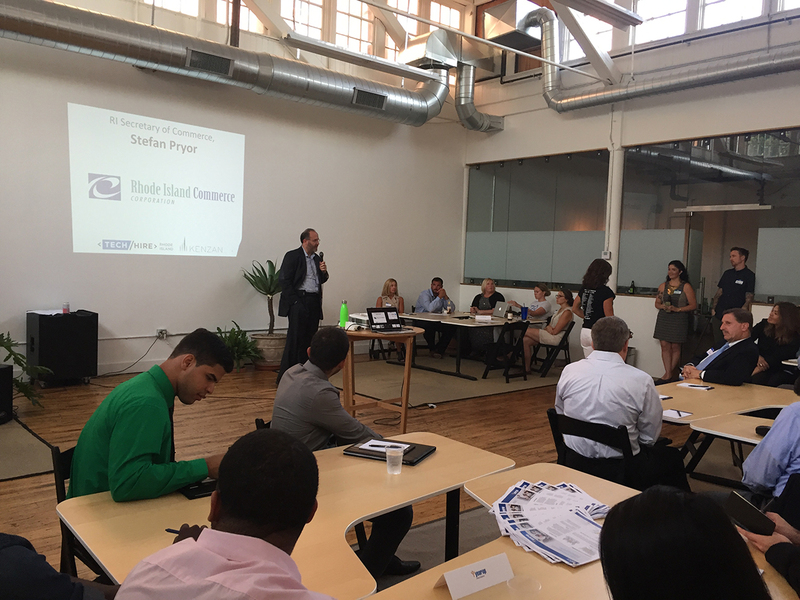 Along with our co-host TechHireRI, the event brought together work-ready talent with employers and community partners. The goal here is to close the opportunity gap for many of these job seekers and to encourage hiring companies to look outside of traditional recruiting sources. Speaking to a packed room, Stefan Pryor, Rhode Island’s Secretary of Commerce, talked about the state’s initiatives to support these efforts in order to spur hiring and job growth. He also spoke to Rhode Island’s commitment to be the first state to bring a computer science curriculum to all schools, K-12. RI Commerce Secretary addresses job seekers, employers and tech trainers on Aug. 25th in Kenzan’s office. Attendees also heard from organizations that are training, educating and developing these tech workers so that they enter the workforce with the same skills and competency as their degree-holding counterparts. LaunchCode, YearUp, General Assembly, Apprenticeship RI, TechForce and Computer Science Minors each led a discussion about the future of IT training, with both employers looking to recruit and candidates looking for a job. The event sparked a conversation that will carry over into community partnerships as all of us — employers, job seekers, tech training services, industry leaders and government officials — work together to give those who have the skills the same chance to get the job. Kevin McKenna is the Director of Operations for Kenzan and is based out of our Rhode Island offices. Though most of his time is spent running around with his dog, he is also responsible for supporting current Kenzan teams and for bringing new Kenzanites on board. With a background in the building trades and working with small teams on ambitious projects, Kevin is well suited to assist in providing a solid foundation for a dynamic organization.